Fort Lauderdale, Florida–(Marketwired – Aug 20, 2013) – SEACOR Holdings Inc. and Balfour Investors Inc. today announced the formation of CLEANCOR Energy Solutions LLC (“CLEANCOR”), an energy merchant bank focusing on financing for and investment in clean-fuel start-up or early stage enterprises, technologies, infrastructure, logistics services, and projects. CLEANCOR will be a full service solution provider, initially concentrating on investments in the end use of clean fuel such as conversion of diesel engines to alternative fuel engines, the manufacturing of and installations for key components found in liquefaction, production, and storage that are required for developing markets, and delivering clean fuel to end users. 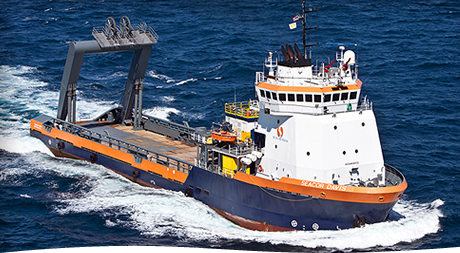 SEACOR is a global provider of marine transportation equipment and logistics services primarily servicing the U.S. and international energy and agricultural markets. SEACOR offers customers a diversified suite of services and equipment, including offshore marine, inland river, storage and handling, distribution of petroleum, chemical and agricultural commodities, and shipping. SEACOR is dedicated to building innovative, modern, “next generation,” efficient marine equipment while providing highly responsive service with the highest safety standards, and dedicated professional employees. SEACOR is publicly traded on the New York Stock Exchange (NYSE) under the symbol CKH.